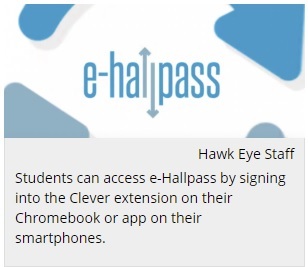 e-hallpass, by Eduspire Solutions, is now available through the Clever app library and can be used as an instant hall pass via mobile device or Chromebook. Bethel Park High School in Pennsylvania will begin their trial run on Monday, 4/22, as indicated by Stephanie Kroll’s article in the school paper, the Hawk Eye. Eduspire Solutions, an EdTech startup founded in 2016, has developed a web-based software solution that has garnered national acclaim. E-hallpass, praised for its ability to improve classroom management and safety, has transformed thousands of classrooms across the country. See how your school could benefit from access to real-time hall pass insights, enabling better tracking of student activity, behavior, security, and more. E-hallpass is a cloud-based web and mobile application that allows teachers and students to create a digital hall pass at the click of a button, on any device and operating system. Instead of stopping class to scribble a paper pass, teachers can now acknowledge students’ pass requests virtually hands-free, with minimal disruption to instructional time. The EdStart program by Amazon Web Services, known for “giving EdTech startups a head start,” helps grow and scale innovative and up-and-coming edtech companies. After a selective application process we are pleased to announce that Eduspire Solutions has been accepted into AWS EdStart program. 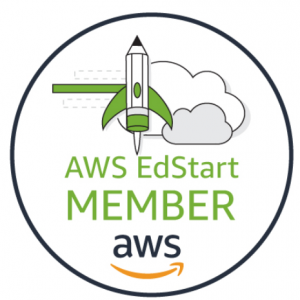 Because technology plays a key role in many learning environments, AWS EdStart helps EdTech entrepreneurs build solutions that are secure, smart, scalable, and cost-effective. This makes AWS EdStart a great fit for delivering on Eduspire Solutions’ mission statement of ‘transforming education through technology.’ We are excited to cultivate our solutions on a scalable platform used by many other leading EdTech companies. We look forward to leveraging the AWS platform to raise more awareness of our software solutions so that we can continue to transform education through technology.